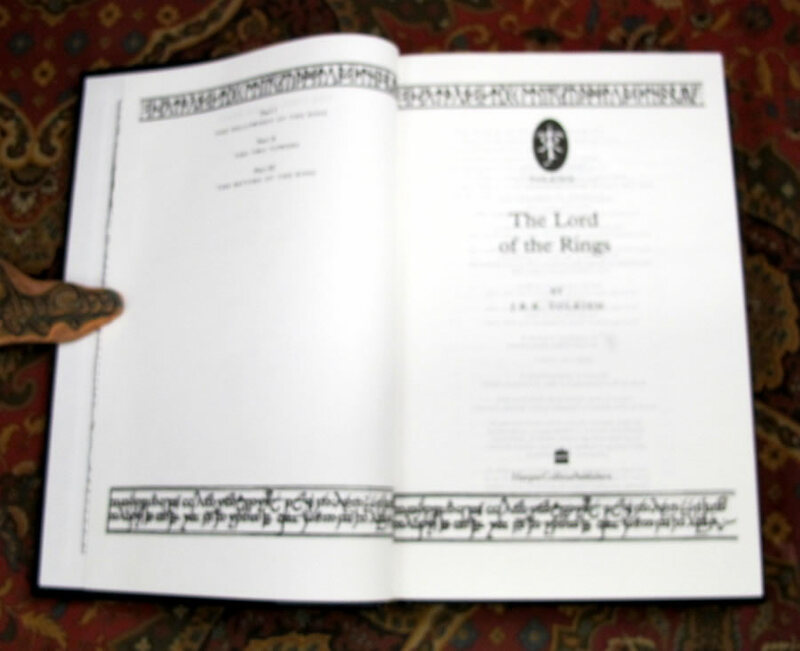 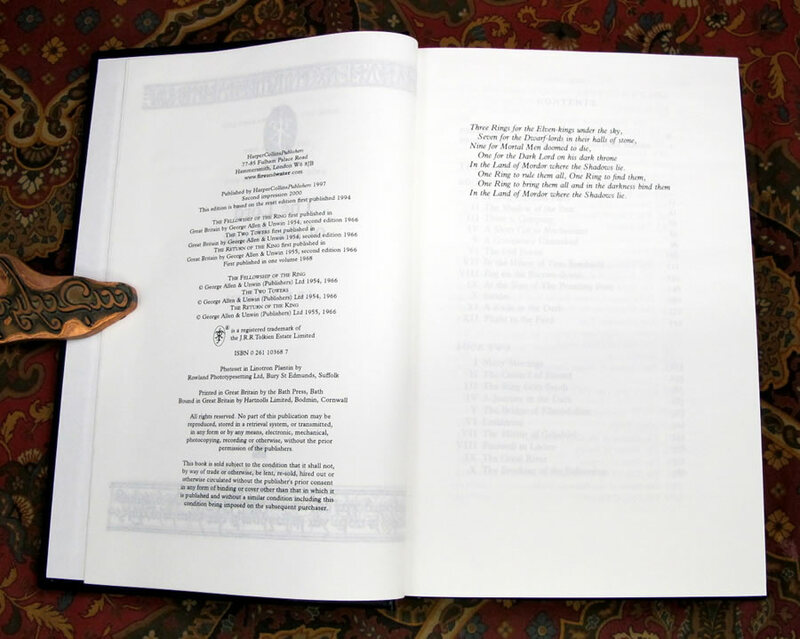 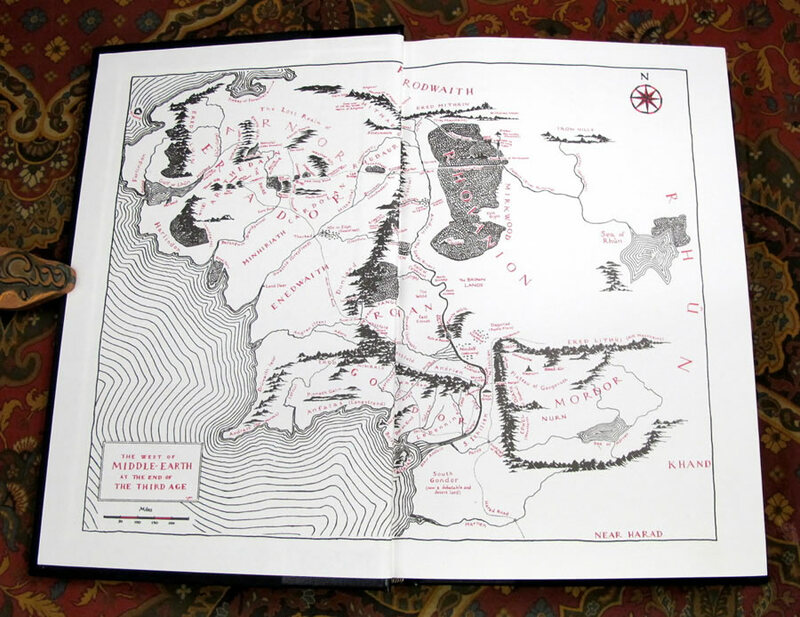 Published by Harper Collins in 2000, the 2nd impression of the 1997 Deluxe Limited Edition. 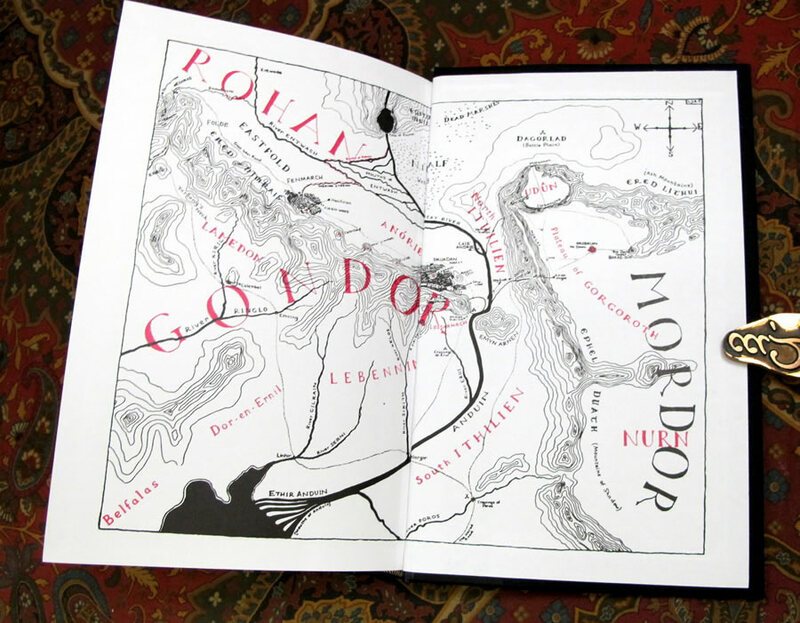 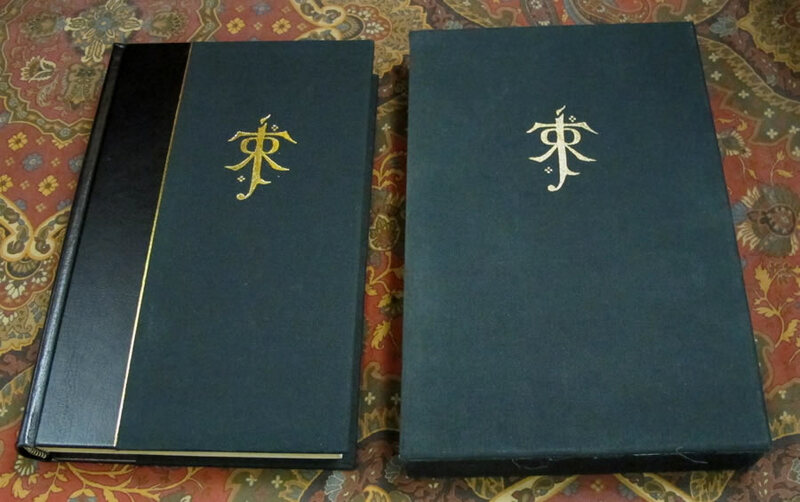 Quarter Bound in Black Leather and Black Cloth with Gilt title, Author, Publisher and Tolkien Monogram to the spine. 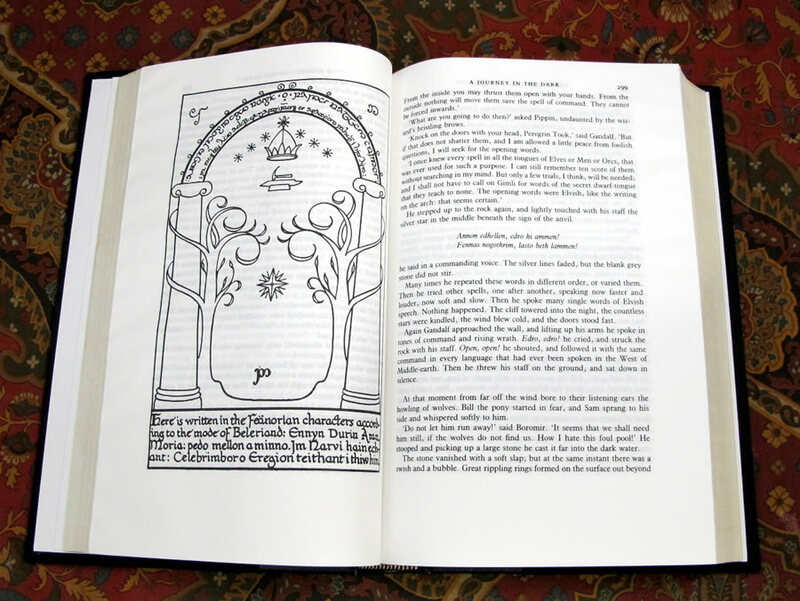 Housed in original publishers black cloth slipcase with the monogram design gilt stamped to the exterior, matching the gilt design on the book. 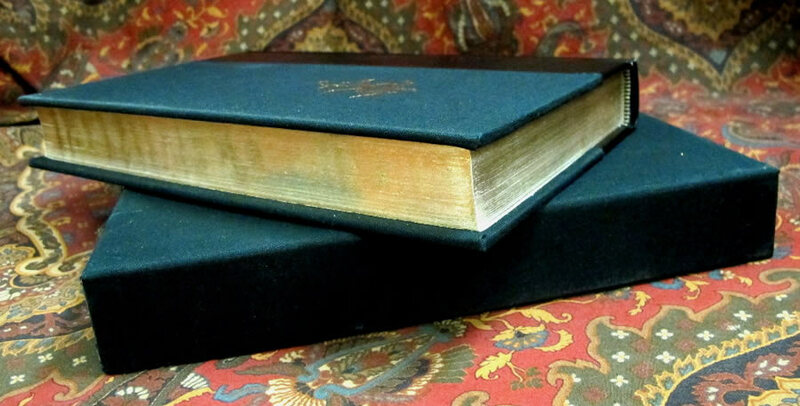 All edges gilded, showing no markings or rubs, no names or writing in the book.